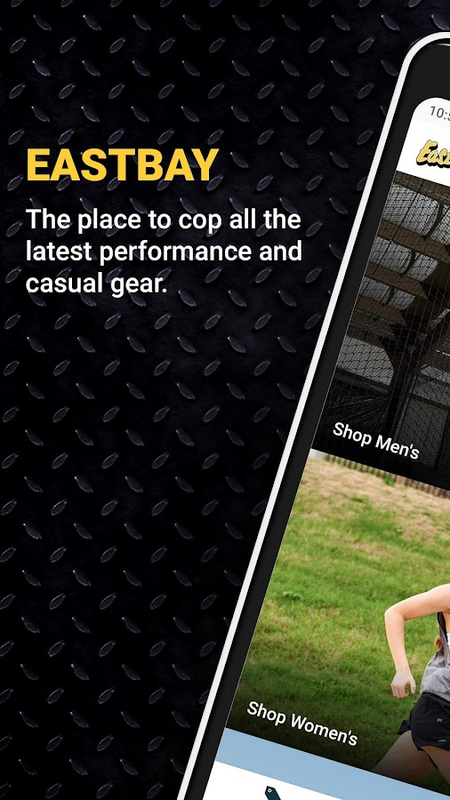 Eastbay is the place to cop all the latest performance and casualgear. * Quick and easy access to the latest footwear and apparel atyour fingertips. * Shop the hottest brands like Nike, Jordan,adidas, and Under Armour. * Be the first to know about the hottestkicks dropping with our Release Calendar. * Enable pushnotifications and check your inbox to stay updated on launches,upcoming offers, and more. * Access My Account to save your paymentand shipping info so you can check out faster and easier. * Scanyour credit or debit card to pay & save your card information. - Most downloaded Sneaker Release Calendar app on Google Play. -Accurate up to date Release Dates & Sneaker News. - Shop yourfavorite sneakers. Find your Grails. - Profiles with personalizedreleases & price estimates. - Set reminders, win Free Kicks& Social Share! The heart and soul of the sneaker community,KicksOnFire.com is the top authority for sneaker culture, news andhistory. Our mission is to provide an accessible informationplatform for the sneaker community and tools to facilitate theshopping experience for any footwear consumer. Whether you'relooking for a release date, price or the sneaker itself, we're hereto help! We cover most brands such as Adidas, Air Jordan, NewBalance, Nike, Puma, Reebok, Supra, Under Armour, Vans and more.Download Now and be part of the global sneaker community! #1 App for Sneaker Heads. All the hottest sneaker release dates.All our release dates are verified and up to date with the latestreleases.STAY CURRENT Browse through thousands of Sneaker releasedates from Air Jordan, Nike, Adidas, Yeezy, Off-White, Kobe, Kobe,Vapormax + many more. So if you want to keep up with all the latestkicks and want to keep track of all the latest release dates,download SoleInsider and keep your footwear fresh.If you're a fanof NikeTalk, Kixify, Nicekicks, Sneaker Bar Detroit, SneakerNews,J23, Stockx, 23isback, Sole Collector or Kicksonfire you're goingto love SoleInsider!